If your lease is up and it’s time to put your apartment back to its original state, you might be wondering how to proceed with all the cleaning. A major decision in this case will be whether or not you do your own cleaning or if you hire professionals to do the job for you. Since there are benefits to both, we’ll go through them with you. 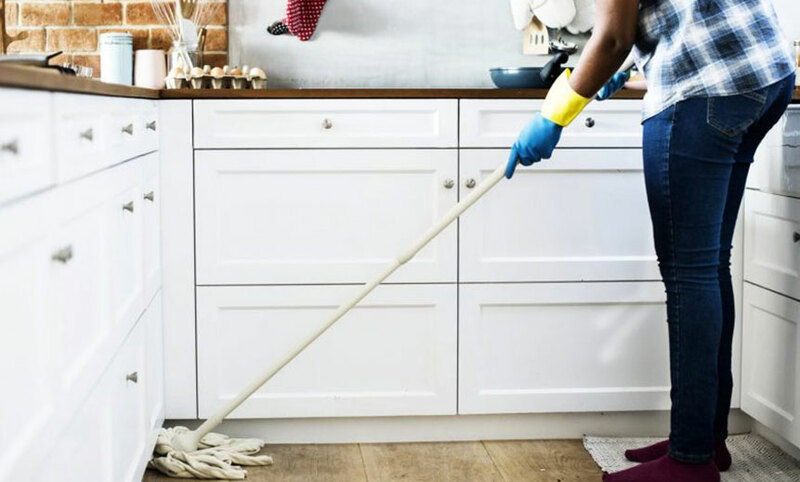 There’s no doubt that there are benefits to cleaning your home on your own. For one thing, you’ll be cutting costs significantly. For another, you don’t have to worry about having a bunch of people in your home that you don’t know. DIY cleaning is useful for anyone who need to have control over their environment. If you know exactly what you want and need to be done, you should consider cleaning this way. Should you decide to, you need to create a list of the products you’ll use, as well as everything you’ll clean. This will help you when you clean your home on your own because you won’t forget anything. When you keep everything in your head, you might forget to clean your built in robes or some corners of your room; and when this happens, you could miss out on getting your security deposit back at the end of your lease. If you know in advance that your home needs extra cleaning, you might consider having a professional team do the job. That’s because a professional team will have all of the extra equipment that you might be lacking. If you need to clean your carpet, for example, you may not have carpet cleaners or steamers to get rid of all the bacteria. Not only this, but professional cleaners can help rid your home of any mold or water residue that you’ve left behind. When you clean it on your own, you might not have the expertise to get the job done. You should remember, though, that choosing the right team is vital when you’re having your home clean. If not, you could end up leaving the place worse-off than you started.If you have marble flooring for example, you’ll need a team who knows how to clean the finish and/or polish without causing damage. How do you choose the perfect cleaning team? Firstly, you have to know what you want. Once you do, you can narrow down the cleaners in your region. You should also go with someone who already has customer experience and good reviews by previous clients. When you see that other people have had good experiences with a company, it’ll give you more confidence when you let them into your home. Remember, if your home isn’t restored to its original state before you move you won’t get your bond back. With end of year leases coming up, it’s that time of year when everyone takes out the cleaning products and brooms to make their homes look the best possible. If you’re in this situation right now, you know what a struggle it is to get everything in order before that big moving day. That’s why you might be asking yourself whether you should clean your home yourself or hire a professional to do it. Both options are valid, depending on what your personal needs are. If you need to save your time and are willing to spend extra money, you should consider hiring someone. If you, on the other hand, are able to handle the job yourself, then DIY might be for you.